Ladies-I have never seen this boot anywhere else. I got lucky enough to find this pair of leather Coach boots with the the signature C's imbedded in the leather. They are a beautiful rich brown. 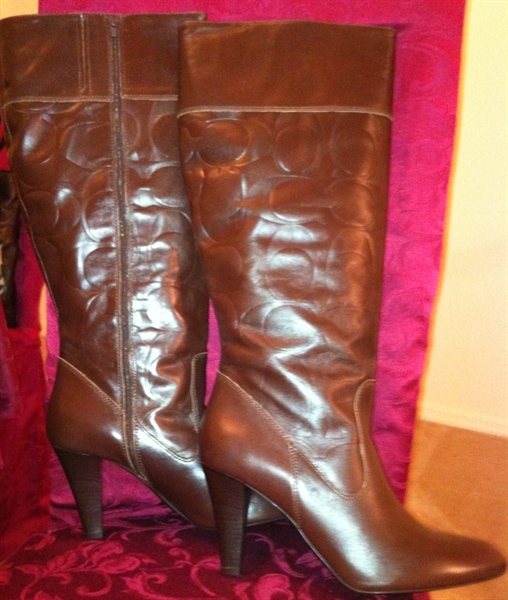 This boot is so classy and I cant take a step without someone asking me where they can find them. I have had these boots for over 4 years now and they still look brand new. I can't believe I missed hitting the add comment button on these the last time. I really like the color of these.